Sony DADC is delighted to announce the opening of a new Central European Distribution Centre in Nyrany, Czech Republic. 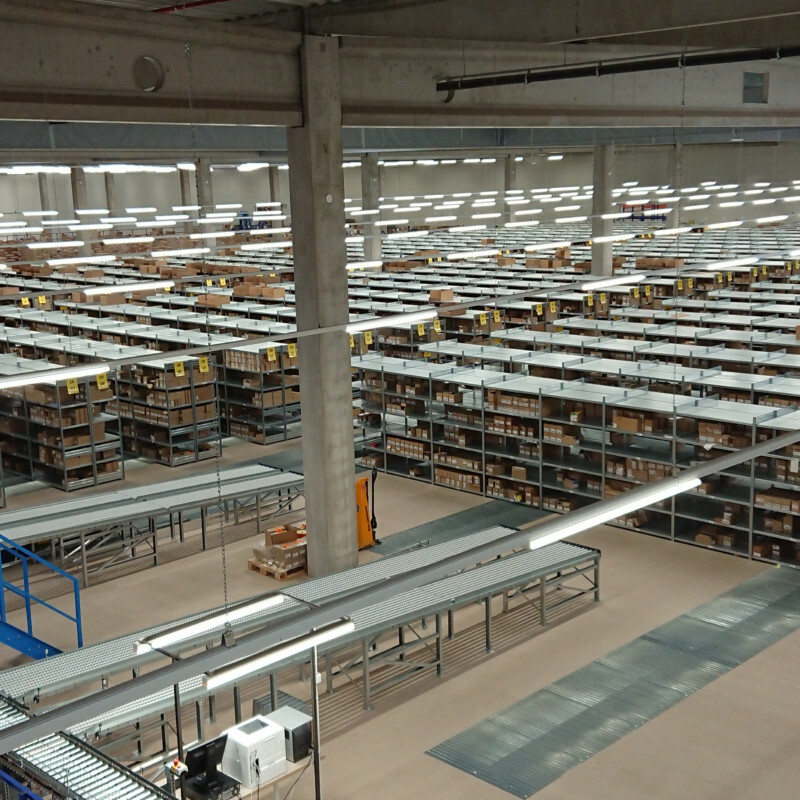 The Central European Distribution Centre contains beyond the warehouse area, 2 office floors and mezzanine floors stretching over 40,000 m2 and high technology equipment. The new facility offers on top of Business to Business (B2B) distribution and retail services also capabilities to meet the future demand for more Direct to Consumer (D2C) services. With these premises, Sony DADC is well equipped to accommodate an expanded products and services portfolio and future-proofing evolving industry strategies for the entertainment industry and beyond. Approx. 200 new jobs will be created in the first year from shop floor workers like pickers and forklift drivers, to shop floor leaders and administrative personnel in field like inventory control, quality assurance etc. Sony DADC believes that its continued investment in the Pilsen region will have a significant beneficial impact in the region, providing impetus to economic growth and generating a number of benefits to the local economy. Multiple clients in the entertainment industry and beyond are destined for the new sight. One of the first clients on board will be the Universal Music Group (UMG). UMG will take advantage of innovative supply chain solutions from Sony DADC including Manufacturing, Assembly and Distribution services in Europe. “Next to our European Service Centre located in the heart of Pilsen and our Assembly and Logistics Centre in Stenovice we completed our end-to-end supply chain services offering with the new Central European Distribution Centre. We are, together with the team in the Pilsen region, excited about the new facility. UMG as well as customers across Europe, in- and outside the entertainment industry, will benefit from the end-to-end services, support and expertise Sony DADC will bring to the market”, commented Dietmar Tanzer, President Sony DADC International.